Product weight: 25lb Ship out 2-7 days. Holds 250 to 350lb plates. Solid all-welded black scratch proof powder coating. View More In Plate Trees. If you have any questions about this product by Ader Sporting Goods, contact us by completing and submitting the form below. If you are looking for a specif part number, please include it with your message. 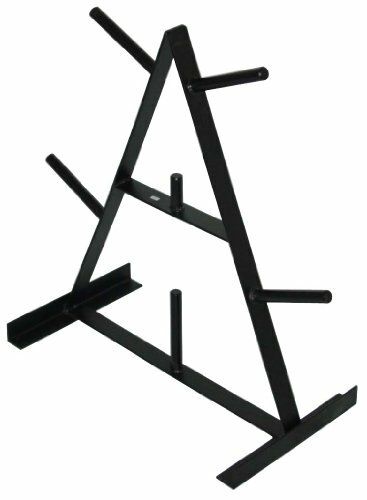 CAP Barbell Standard Plate Rack, Black and White, 1"